Title page from A vocabulary of the Po-da-wahd-mih Language by Joseph N. Bourassa, 1843. J.N. Bourassa’s A Vocabulary of the Po-da-wahd-mih Language is the latest addition from the Libraries to the Smithsonian Transcription Center. The Vocabulary was transcribed around 1890 from the original, which dates to 1843. 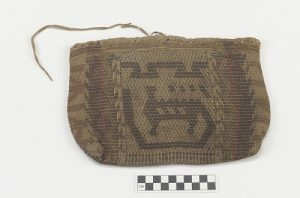 The Potawatomi have traditionally inhabited the Upper Mississippi River region as well as Indiana and Kansas, and are making efforts to promote the use of their native language, a sub-group of the Algonquian language family. The compiler of this vocabulary, Joseph Napoleon [or Napolean] Bourassa (1810-1878) was of mixed Potawatomi and French heritage. As a child, he was handpicked to attend school and was educated at the Carey Mission near Niles, Michigan, on the banks of the Saint Joseph River, and later studied law in Kentucky. 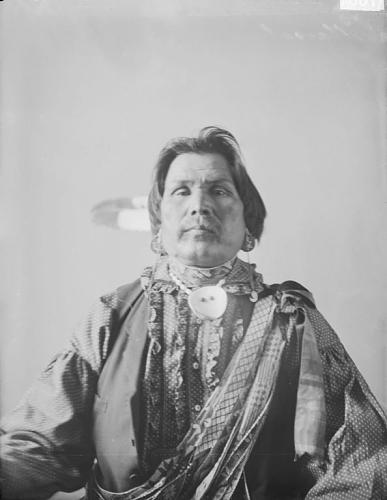 Additionally, Bourassa held a position at the Choctaw Academy, an Indian School in Kentucky. Due to his education, oratory, and language skills, Bourassa was an interpreter on a number of treaties and was instrumental to the Treaty of 1861 as an original member of the Business Committee. 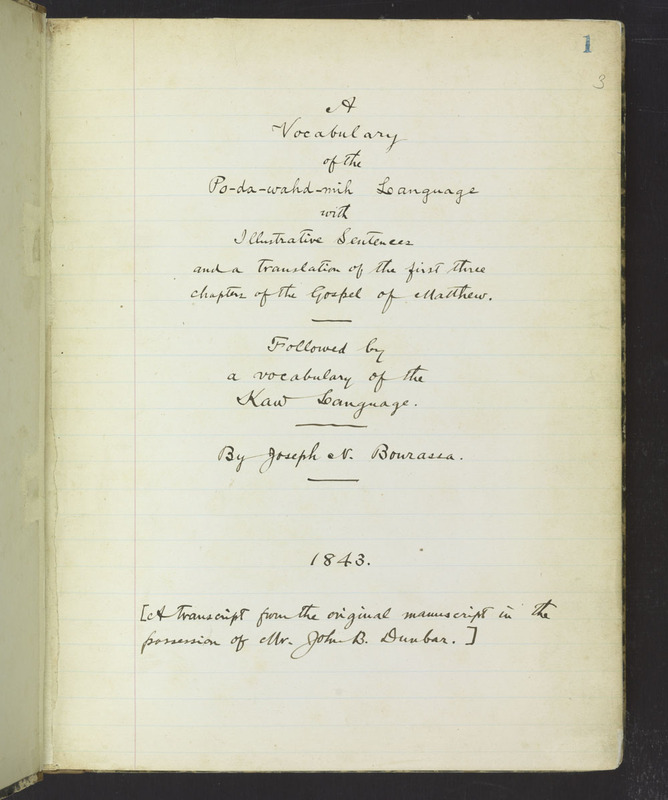 The original manuscript of Bourassa’s Vocabulary was owned by John Brown Dunbar (born April 3, 1841), a philologist who used it as a source while compiling his own grammar and dictionary of the Potawatomi language. The Smithsonian Libraries’ copy is thought to have been transcribed and annotated by Wilberforce Eames (1855-1937), a bibliographer and librarian who headed the American History Division at the New York Public Library. The manuscript was formerly in the collection of the Mercantile Library Company of Philadelphia. The Mashantucket Pequot Museum and Research Center in Connecticut also has a manuscript copy of Bourassa’s Vocabulary, similar in description to the Smithsonian’s copy (MSS 56). The libraries’ manuscript is now available for transcription at the Smithsonian Transcription Center.